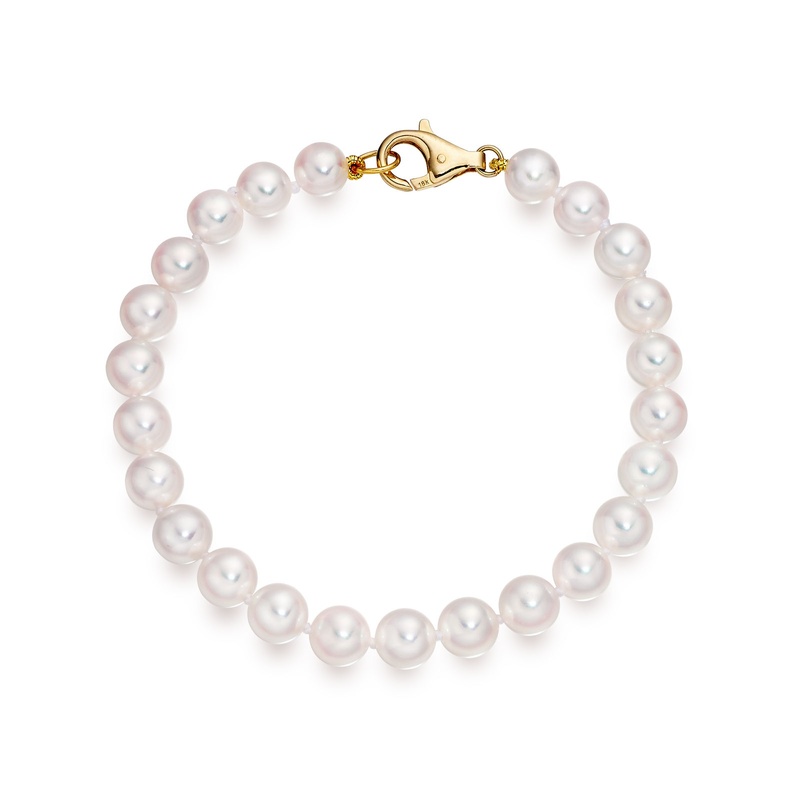 A beautiful Akoya pearl bracelet, with 6-6.5mm diameter pearls and a secure 18 carat white or yellow gold lobster clasp, will catch the eye and be loved for its easy elegance. 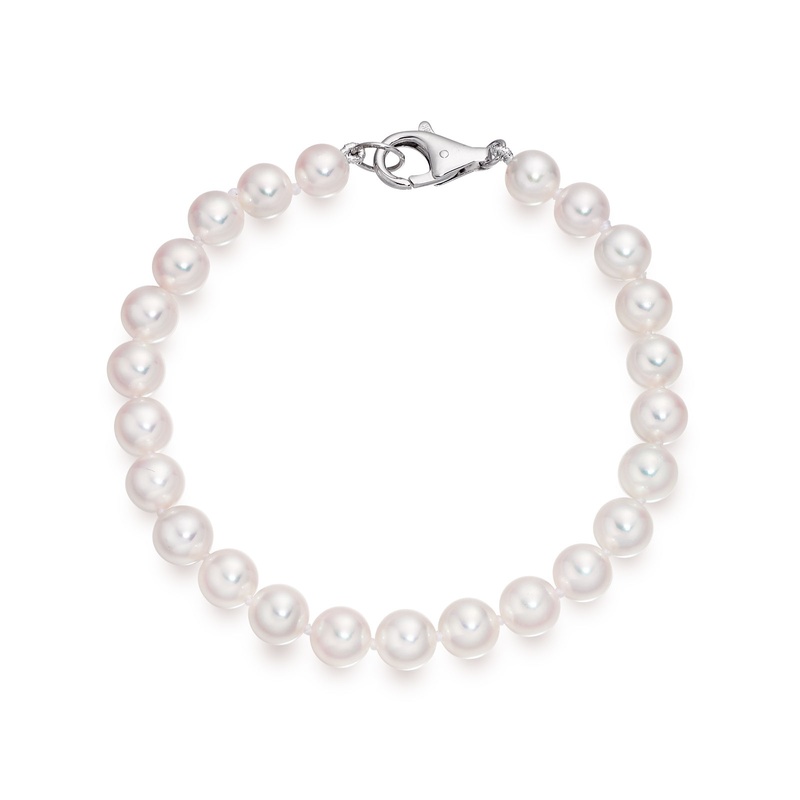 The real saltwater pearls selected for this bracelet are Akoya pearls, one of the classic pearl varieties which are cultured in oysters in bays and inlets off the coast of Japan. 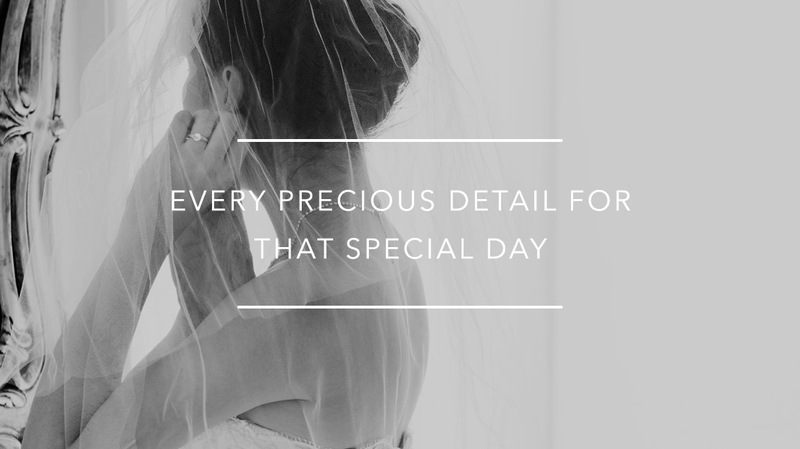 One of the best qualities of Akoya pearls is the strength of their lustre, being one of the most reflective of pearls. Each 18cm length bracelet has been strung by hand with individual knots between each pearl for safety. This bracelet is available from Winterson with a matching Single Strand White Akoya Pearl Necklace.